A new school year can be a nerve-wracking experience for both you and your child. Whether starting preschool or kindergarten, some children may be worried about the new setting and the new experience. From first day jitters to unfamiliar surroundings, going back to school isn’t always easy. There are steps that parents and families can take to help their children make a successful transition. Familiarize your child with the new setting. Visiting the preschool classroom with your child a few times before school starts can ease the entrance into unfamiliar territory. This offers the opportunity to meet the teacher and ask about routines and common activities. While you’re in the classroom, let your child explore and observe the class in his or her own way. The idea is to familiarize your child with the classroom and to let him or her get comfortable. Communication. Use this time to ask your child’s new teacher how he or she handles these first potentially tear-filled days. Ask questions like: how will the first week be structured to make the transition smooth? Assess your own feelings. Young children can pick up on their parents’ nonverbal cues. If you feel guilty or worried about leaving your child at school, he or she will probably sense that. The more calm and assured you are, the more confident your child will be. Establish the partnership. When you enter the classroom on the first day, reintroduce the teacher to your child and work together to establish a drop-off routine that will work for both you and the teacher. If your child clings to you or is reluctant to participate in the class, don’t get upset – this may only upset your child more. Follow the guidelines described by the teacher beforehand, and go at your child’s pace. -Always say a loving goodbye to your child, but once you do, you should leave promptly. A long farewell scene might only serve to reinforce a child’s hesitation about this new experience. -Never sneak out. As tempting as it may be, leaving without saying good-bye may make your child feel abandoned. The Search is on for the Top Eco-Friendly Toys of 2009! Goddard Systems, Inc. is excited to announce its second annual Top Toys Test! This year, the Goddard Schools will partner with Eco Child’s Play, a leading “green” blog, to choose the hottest eco-friendly toys for the holiday season. The “green” toy focus was inspired by the foundation of the Goddard Schools curriculum – the creation of a safe and nurturing environment for young children based upon learning through play. Once finalists have been announced, Goddard preschoolers across the United States will also have the opportunity to play with the toys and give their feedback. Participating Goddard Schools will then announce their “Local Preschooler Picks” – that School’s favorite five toys. Schools will donate all toys to the Toys for Tots campaign, or to a local charity of the school’s choice. Goddard Systems, Inc. and Eco Child’s Play are now accepting submissions through October 1, 2009. To download the Goddard’s Toy Test guidelines and application form, visit http://childsplaypr.com/GoddardToyTest.pdf. You can also check the Goddard blog for updates on our Toy Test. Cooking with children requires time, patience, and some extra cleanup, especially when the children are younger. But it is well worth the effort. Cooking can provide a great outlet for bonding with your child. Some of the lessons children learn in the kitchen reinforce what they’ve been learning in school, like basic math (counting eggs, pouring water into measuring cups), science (exploring with senses: listening to a mixer, pounding dough and watching it rise, smelling it bake in the oven, then tasting it) and language skills (reading a recipe together and introducing new vocabulary, listening skills developed when following steps in a recipe). Including your child in the kitchen can encourage a more adventurous palate and healthy eating patterns. 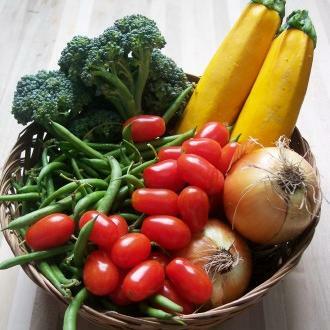 This is the perfect opportunity to introduce healthy eating choices into a child’s life. More importantly, cooking with your “little chef” can boost their self-esteem once the task at hand is complete. Children are usually proud of their cooking accomplishments! Many exciting activities have been taking place in the past few weeks at several Goddard School locations — from helicopter landings to fundraising activities to ground breakings! August 12th – The Goddard School located in Ashland, VA welcomed several college students bicycling across the nation in the “Journey of Hope” cross country bicycle event. The members of Pi Kappa Phi fraternity participating in Push America’s Journey of Hope made a stop at the school to perform a puppet show, “Kids on the Block,” teaching the students about disabilities and how to interact with peers who have disabilities. August 10th – Bob Lisaius, the “Dino Guy,” paid a visit to The Goddard School located in Mechanicsburg, PA to take the students on a trip throughout the Mesozoic Era. 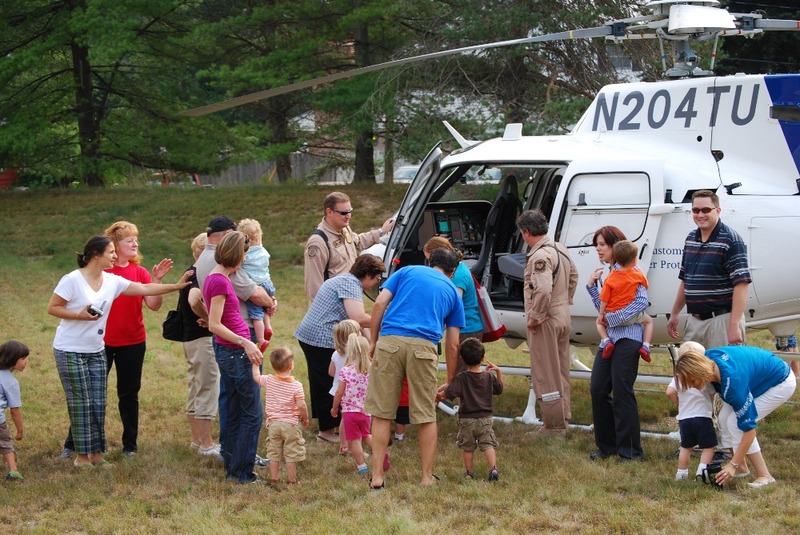 August 5th – The Department of Homeland Security landed a helicopter on school grounds at The Goddard School located in Lake Orion, MI as part of transportation week. August 5th – The Goddard School located in Rockville, MD participated in St. Jude’s Trike-A-Thon, raising more than $2,400 for the research and treatment of childhood cancer and other catastrophic diseases. August 3rd – 20th – The Goddard School located in Roswell, GA will be accepting back to school donations for children in the community as part of The Children’s Restoration Network’s 15th Annual Back 2 School Project. August 3rd – New Goddard School opens is north Scottsdale, AZ. July 31st – The Goddard School located at Lake Norman, NC had a ground breaking ceremony and carnival to celebrate their expansion and construction of a new 5,000 square foot addition and Gymnasium. Children’s routines are very relaxed in the summer – bedtime is later, snacks are around the clock, more time is spent watching TV and playing with toys. With the back-to-school season here it can be very difficult to get them back into the school year routine. Slowly move bedtime back to an earlier time. Children need 9 to 11 hours of sleep each night, depending on their age. It’s very easy to slip into irregular meal times during the summer, so as September gets closer start making meals more regular and begin to align meal time with the school year schedule. Start putting limits to the amount of time your children spend watching TV and playing games. They’ll need to refocus on school work. Help them prepare for school the night before. Assist in selecting clothes to wear for school and making sure they have all of their school supplies in their backpack. After a while, they will be able to do this without your assistance. Have a daily schedule posted in an area your child will see each day, like the refrigerator. Just like we practice at The Goddard School, regular schedules create a day with structure. The repetition of routines encourages your child’s memory development, and the consistency helps him or her adjust to a regular schedule. If your child has acquired most of these skills then chances are they’re ready! Next step, getting parents ready for kindergarten. Much is expected of your child when school begins in September so use this month to make sure your child can handle the basics for kindergarten.